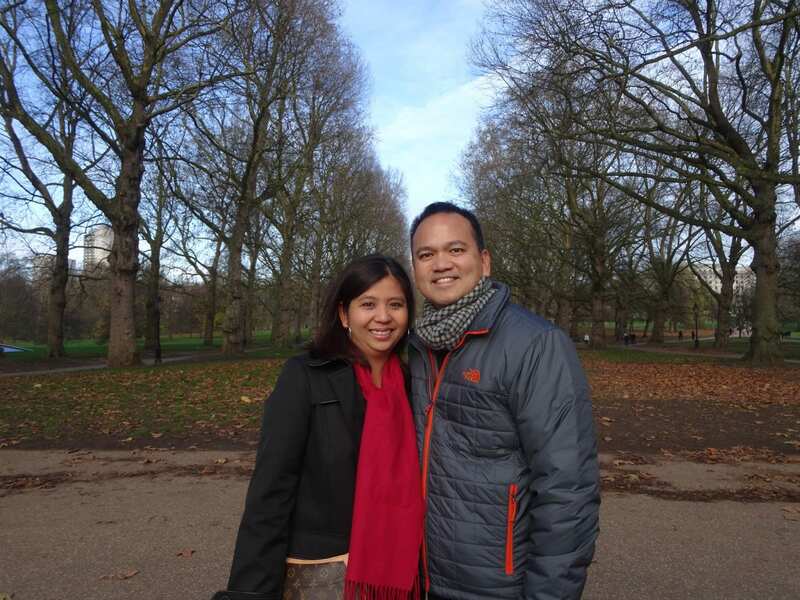 It’s now Day 3 of our stay here in London. 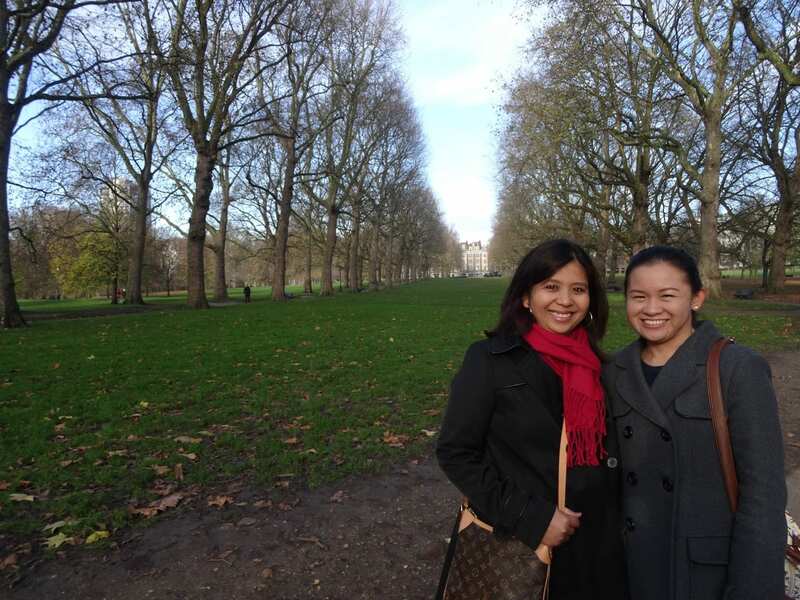 We started off our day by walking to the Buckingham Palace. I mean, seriously, the palace was about 10 minutes away. 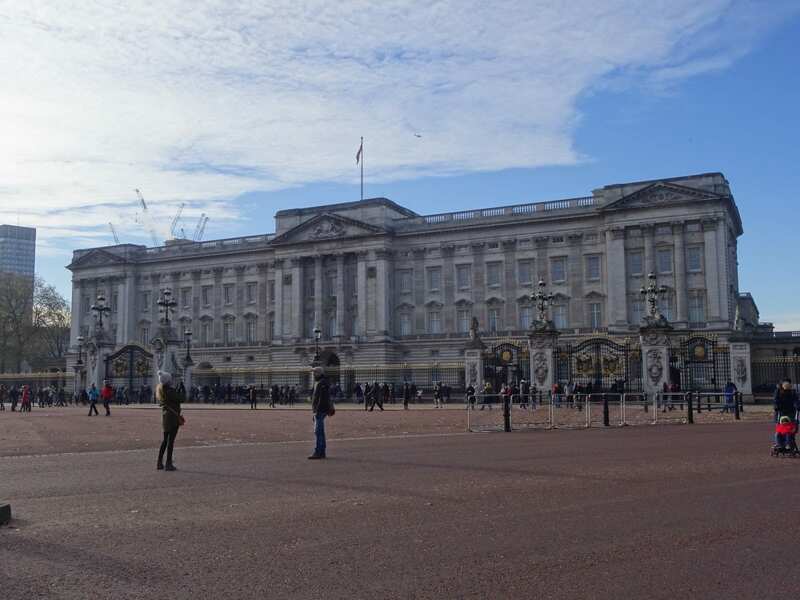 How many times do I get to wake up and say that, “I’m going to walk over to the Buckingham Palace!” So that’s exactly what we did. 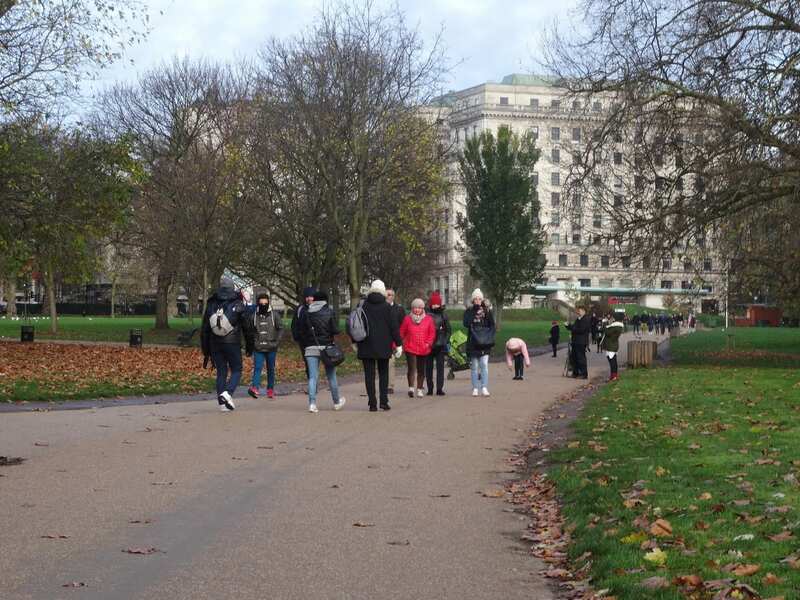 By 9am, all we had to do was to turn right from our hotel door step, and make a quick left, go through the Underground passageway which led to Green Park, that’s the path that we followed towards Buckingham. The night before was quite cold and windy, and the wind made it even more chilly. This morning was more mild, still on the cold side, but the sun was shining, and we were quite happy about that. Walking towards Buckingham was a straight shot. We could already see the gated walls as we approached the Palace. As expected, there was a bit of a crowd. 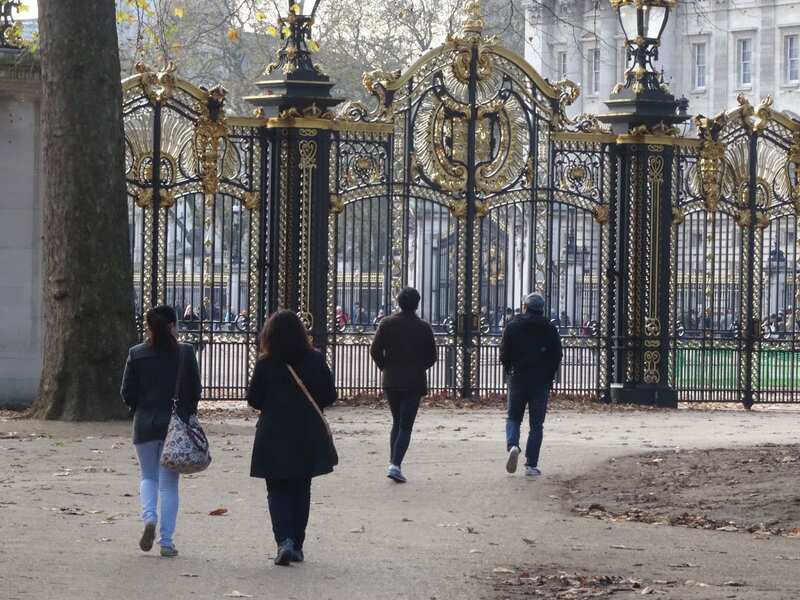 The only visible thing beyond the gates were the palace guards, other than that, no sighting of any royal family member. Today was another busy day, a reunion, or reconnection of some sort. 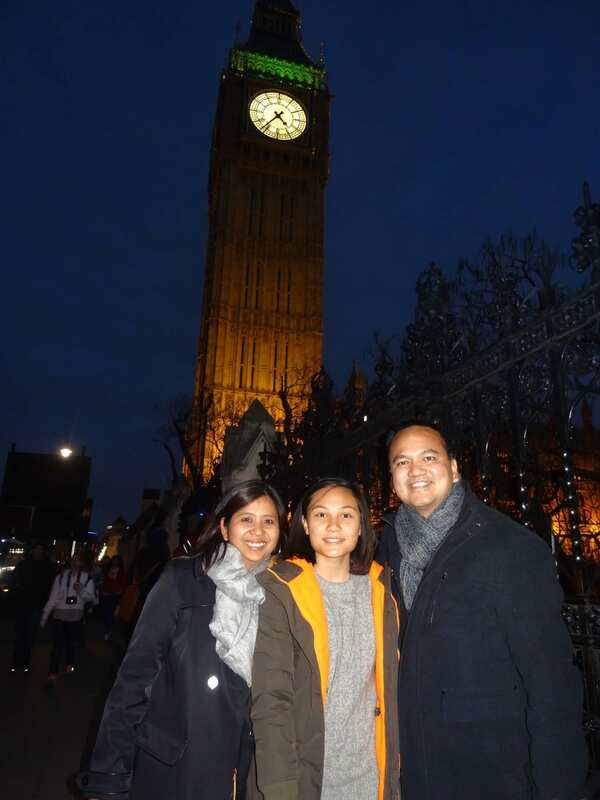 Growing up, I heard of the Reyes family who moved from the Philippines to the UK. I’ve heard of their names but I was too young to remember them. They moved to the UK in 1977 (nearly 40 years ago, and I was just 6 yrs old at the time). 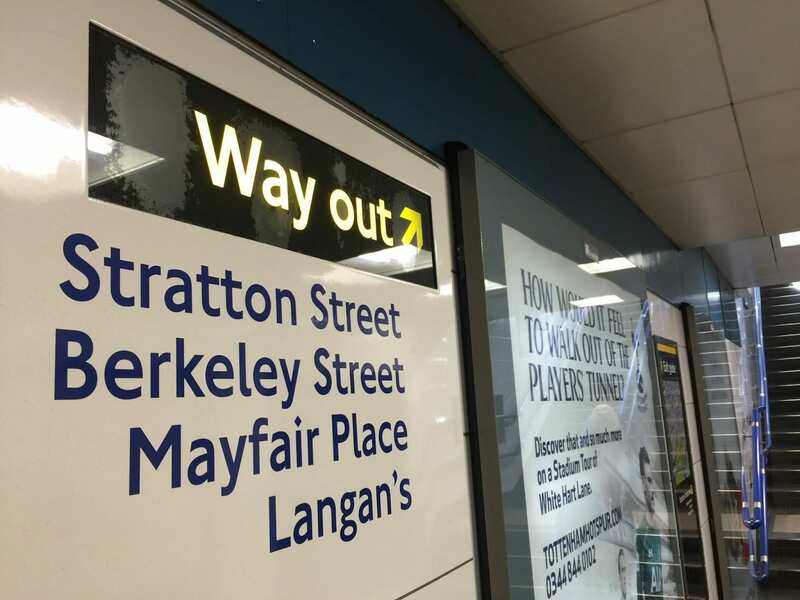 What’s the six-degrees of separation? My mom’s cousin, Auntie Aida, is related to them. Their father was Auntie Aida’s husband’s brother. Did I confuse anyone yet? So growing up, I’d hear the names Vicky, Amado, Ferdie, and Anna. I’ve heard many good things about the family, but it wasn’t until 2001, in my memory, when I actually met them. Coincidentally, we were all in the Philippines for a holiday vacation, that’s when I started to put the puzzle pieces together. Thanks to Facebook we were able to reconnect once more, and were given the ability to keep in touch. We’ve extended open invitations to one another for them to visit us in California, and for us to visit them in the UK. After years of trying to plan a visit, we thought that visit was going to come true last Spring. 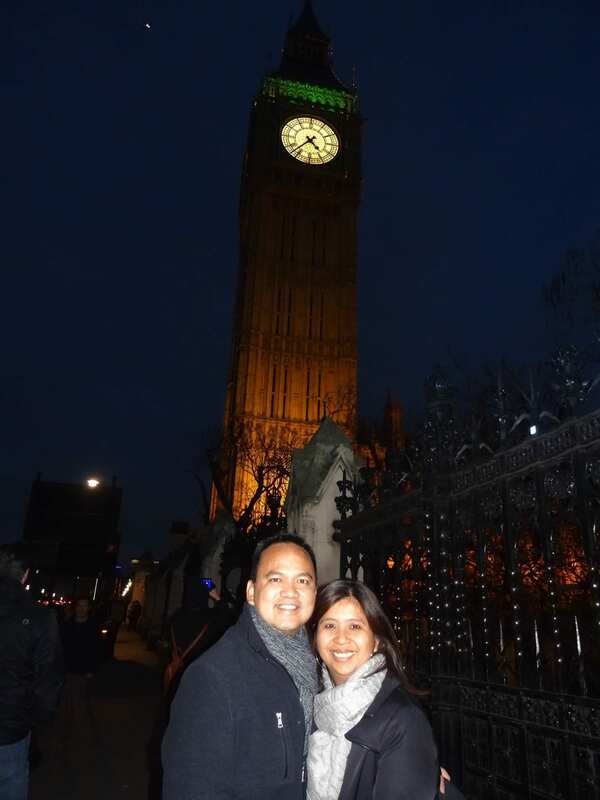 Part of our Europe trip was a 3-4 night stay in Paris, and the thought of taking a 2 hour train from Paris to London crossed my mind, but it just didn’t work out. We’d be pressed for time. 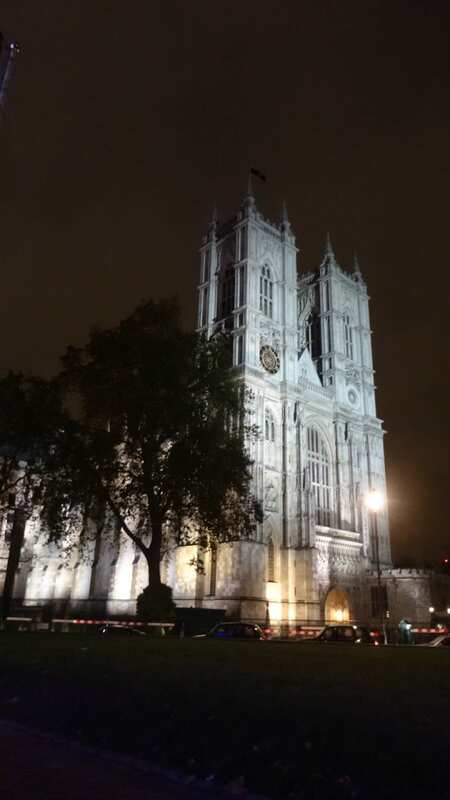 But I knew that a return trip was imminent, and sure enough, when Nancy and I decided on a whim to return to Europe within the same year, London or the UK had to be in the itinerary. I informed them of our upcoming trip. I learned that they lived in Manchester which was about 4 hours of driving time away from London. That’s a lot to ask for them to come see us in London. They’ve all got families and have very busy lives. 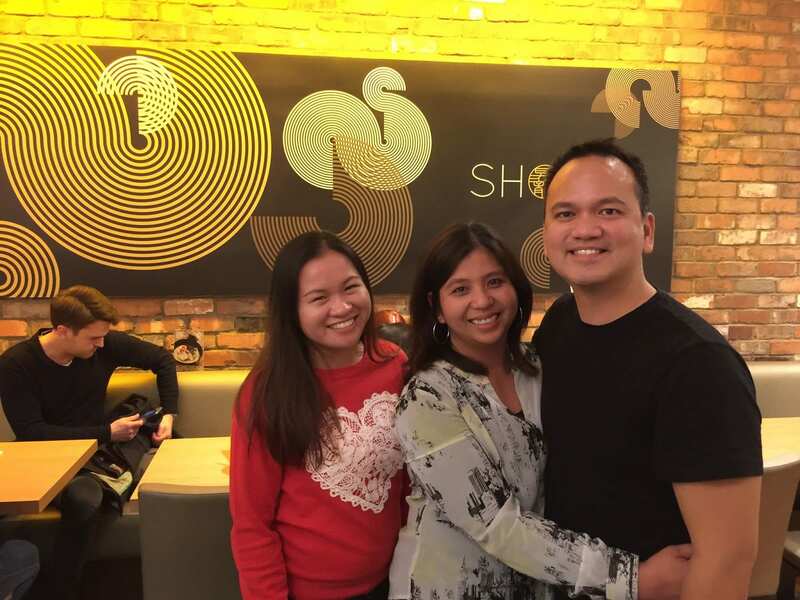 On the weeks leading up to our trip, Kuya Amado and I kept in touch via Facebook and FaceTime, and he informed me that he’ll be taking a train to London and hang out with me and Nancy for the day. 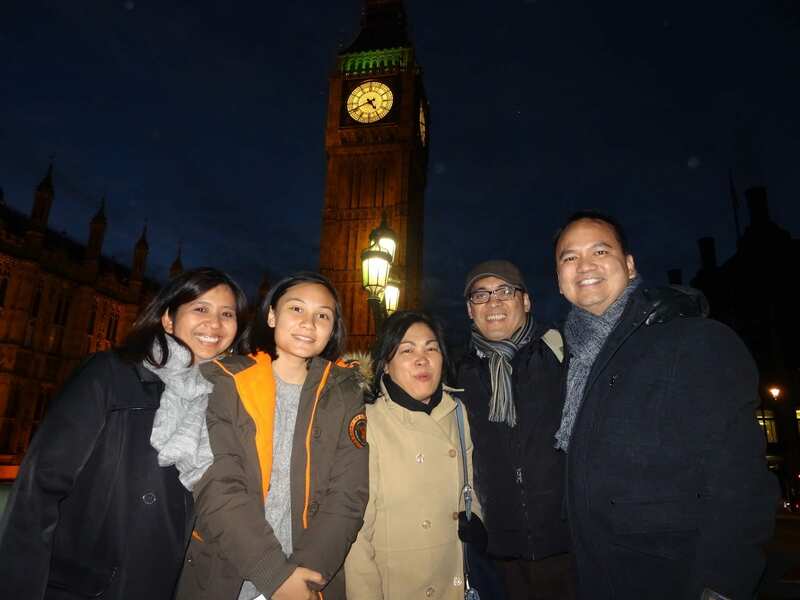 To my surprise, 3 out of the 4, were able to come to London. It was Ate Vicky, Kuya Amado, Kuya Ferdie + his daughter, Tish. Ate Anna and I were in communication and she couldn’t make it because she lived away from the driving direction towards London. To expect nothing to begin with and yet gain so much – that’s the blessing here. They arrived past 11am. Once we saw them, we all greeted each other with the warmest hugs. The last time I saw them was 14 years ago, and again, thanks to social media for allowing us to stay in touch. I had no idea what to expect. I didn’t know where we would be going. So it was about just going with the flow. I wasn’t sure if we’d be walking around the area since our hotel was centrally located from all the tourist sites. 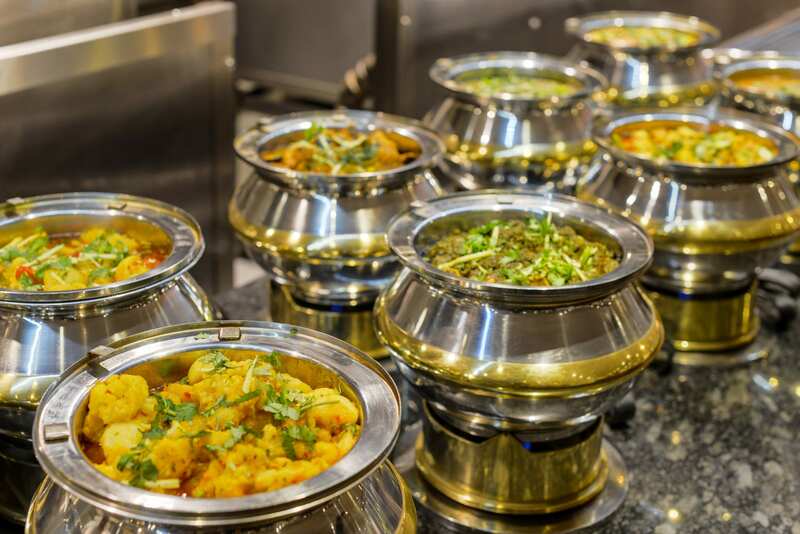 One thing for sure, it was close to the lunch hour, and Kuya Amado asked, “Do you like Indian food?” It was like hearing the choir from heaven, I heard them singing….Hallelujah!!! 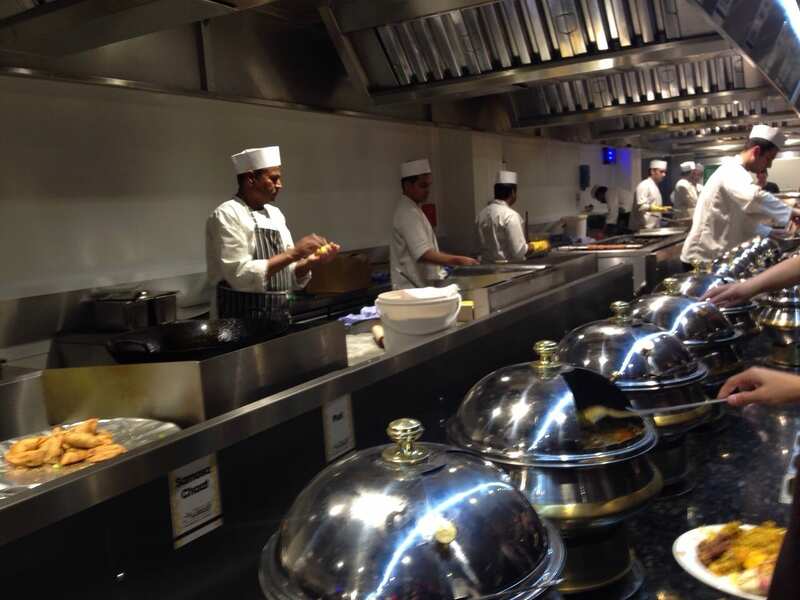 In doing my research on what not to miss in London, it was the Indian food. Surely we said yes to Indian food. 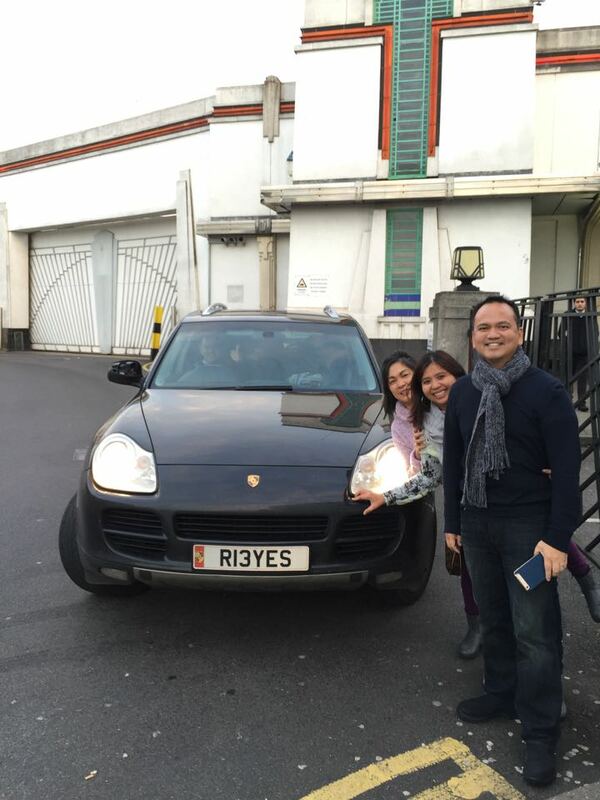 Yesterday’s Uber was a Mercedes Benz, today’s Uber was Kuya Ferdie’s Porsche Cayenne. 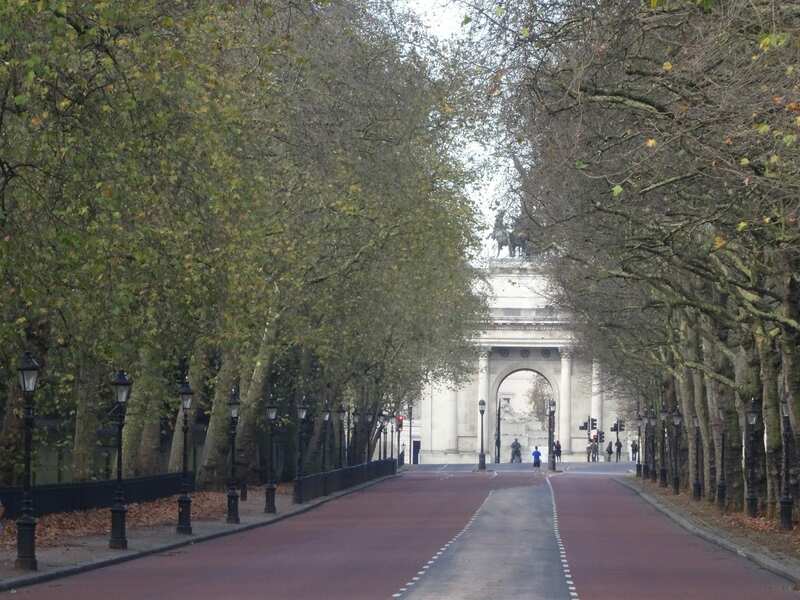 We started to make our way out of Central London, and after 20 minutes of driving, I started to recognize the area. 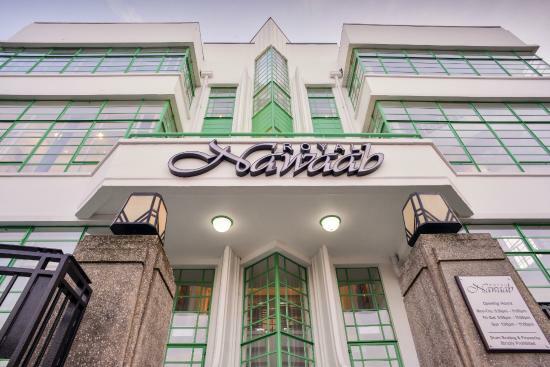 We were at Shepherd’s Bush, we had dinner here last night with Sheena. It turns out that the Indian restaurant was also around the area, however, it was still closed, and didn’t open until 1pm. We ventured on to the Westfield Mall in order for us to kill time. Prior to our trip, Nancy and I prepared the clothes that we’d be needing. Since it’s now late in the fall and we’re headed in to the winter season, I wanted a jacket that would also serve as a raincoat. So I bought this North Face jacket that had other removable layers. Nancy, the fashionista, wanted to get me a winter coat instead. I never really asked anything for my birthday so this was her way of getting me a gift. Once we got in the mall, we headed for H&M, and had my eyes on this dark blue peacoat, but it was quite heavy. So I put it aside. The family suggested we try M&S, I’ve never heard of M&S (Mark and Spencer). Once we entered, it looked like a Nordstrom or Macy’s department store. With my luck, upon entering, there it was, the men’s section – winter coats. My heart was set on finding a light coat, something that I know I could wear during California’s terrible winter months (that’s a joke). After trying on a few choices, I settled on a grayish blue coat, very light, easy to wear, easy to pack, and easy to look at. This coat will be my friend during this vacation and beyond. Happy birthday to me. Finally, after making our purchase, it was time to leave the Westfield Mall, and we made our way to Royal Nawaab. First impression, it wasn’t a rinky-dinky restaurant. It was an establishment in a large building. 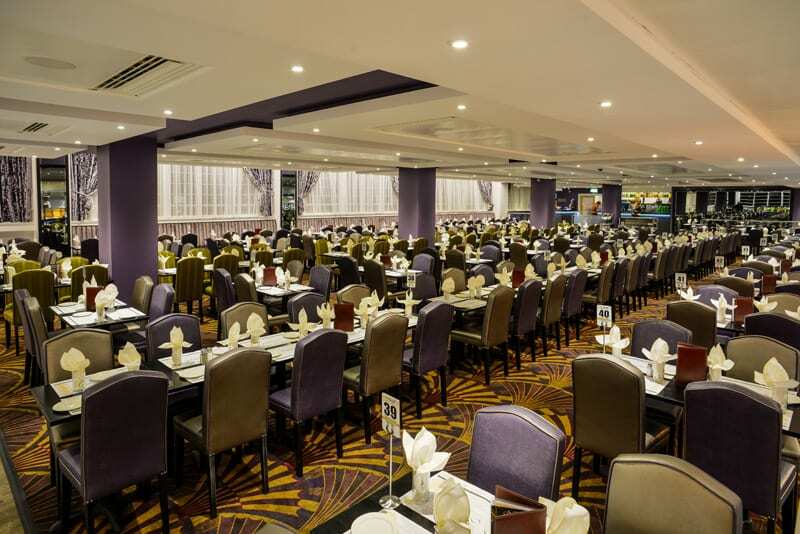 When we walked inside, it looked like a dining room in a cruise ship. Upon entering, I learned that we’d be eating buffet-style. I’ve been to a few Indian restaurants in California and NYC, and have seen up to 10 dishes as options. Well, that wasn’t the case the Royal Nawaab. There were dozens of choices, food that were served in warmers, and dishes that they prepared as requested. The place was enormous, so many choices that I simply did not make it past the halfway mark. In a way, it worked out that they opened at 1pm because the 6 of us have built an appetite by them. As much as there were so many things to say and rave about the food and the service, it was the conversation during lunch that made it all even more special. I continued putting the puzzle pieces together, we shared about our family lives in the US and the UK, our future plans. It’s funny because the London tourist sites didn’t matter at the time. It was more about the conversation. That’s the takeaway. 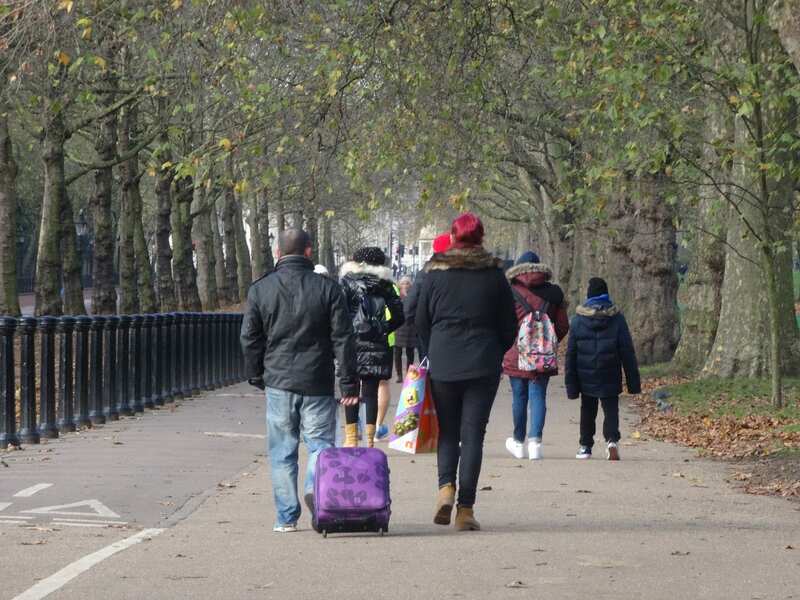 So what have you seen in London? This trip has been more about the company, from seeing our niece, Sheena, to spending a fantastic day at Windsor Castle with Donna, Yen, and Austin, and now this, a day with the Royal R’s! 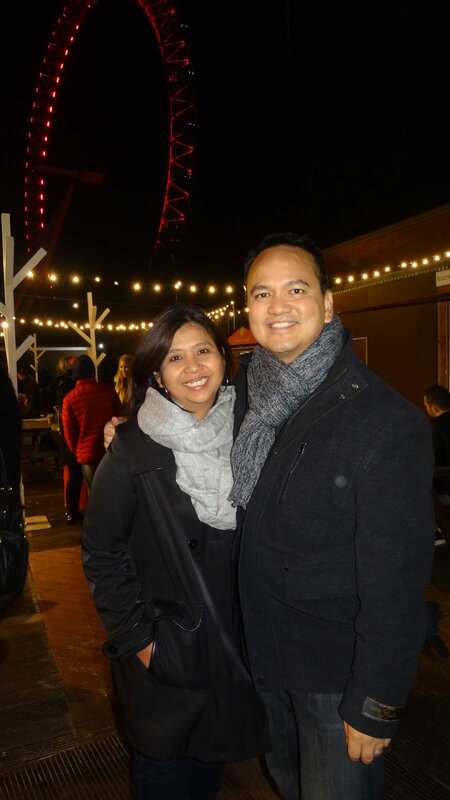 Our visit hasn’t been about tourist sites, but it has been about spending quality time with all of them. 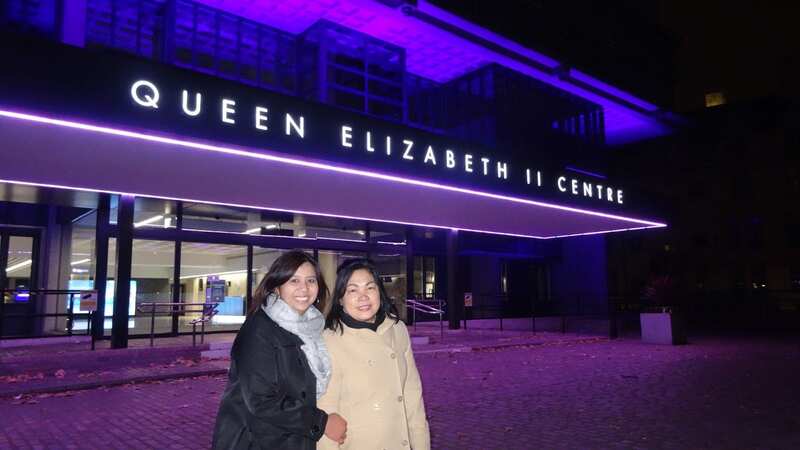 But, I guess we needed to knock off a few items off of our London bucket list. 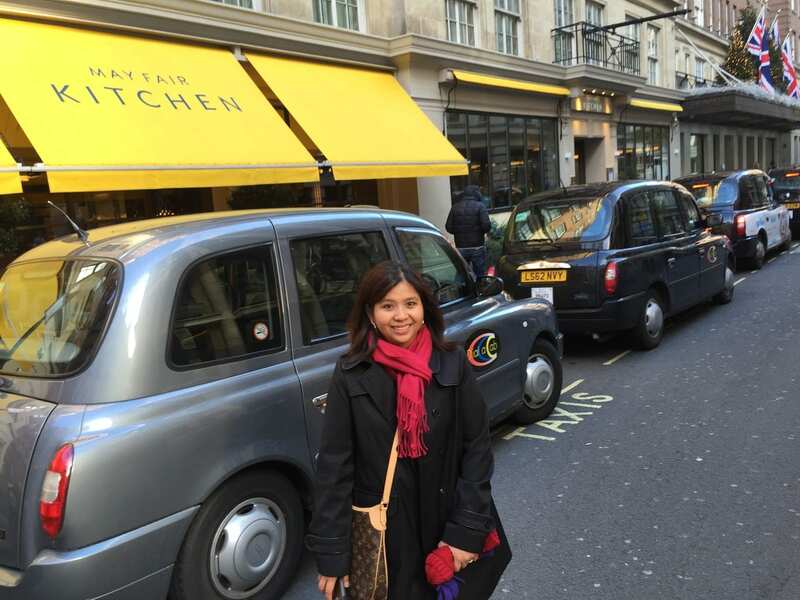 After lunch, Kuya Ferdie started to make his way back to Central London. We told him he could take us anywhere. He picked the perfect place to go, we parked near the Parliament. Because we took time during our lunch, it was already dark by the time we reached the area. 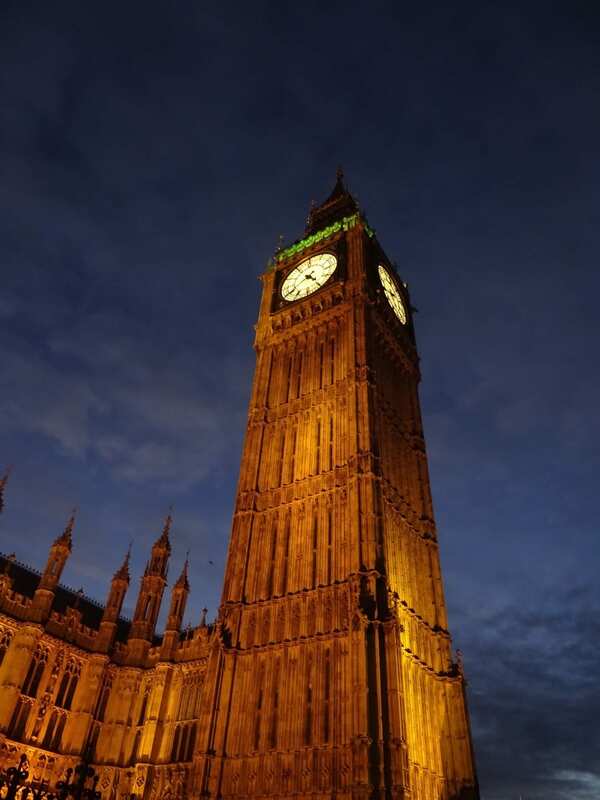 One thing looked familiar, Big Ben. 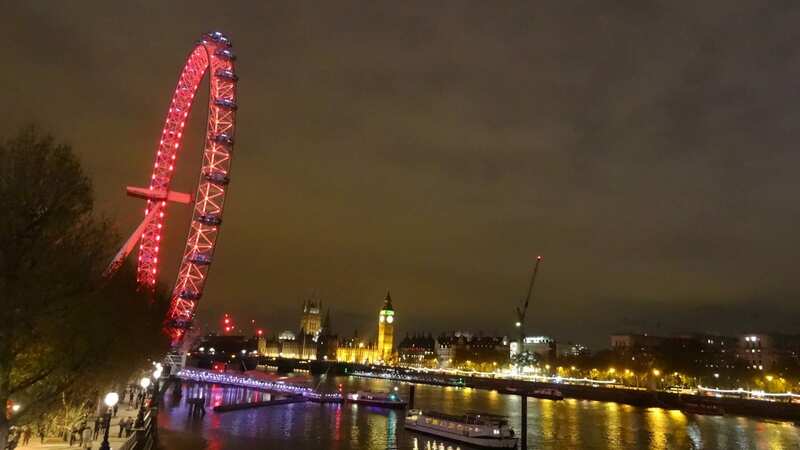 As we made our way closer to the Parliament and Big Ben, another familiar looking site appeared – it was the London Eye. The Reyes family played tourist guide, took pictures of me and Nancy, and of course we took lots of pictures with them as well. The evening was cold, but definitely not chilly. Last night, I couldn’t even feel my face. 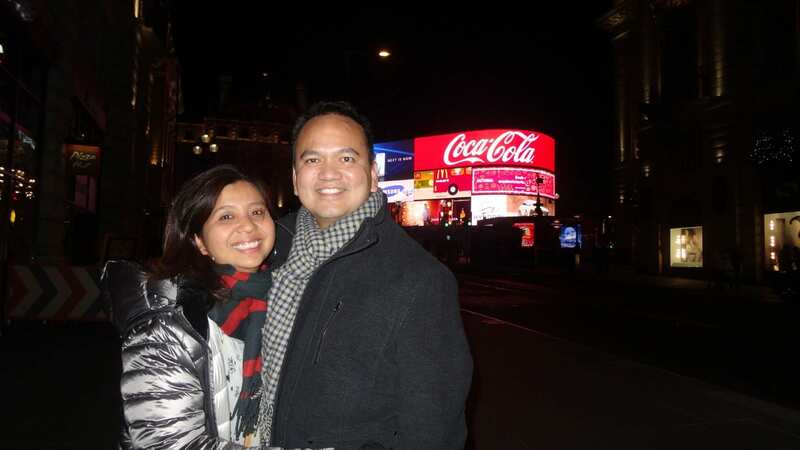 Once we took pics of these sites, we found our way past Big Ben and made our entrance into the market, it looked more like a big food court – from waffles, sausages, paellas, desserts, breads. Well, one thing was for certain, we weren’t hungry after the feast at Royal Nawaab. Instead, we all settled for some fresh hot donuts and cafe latte. 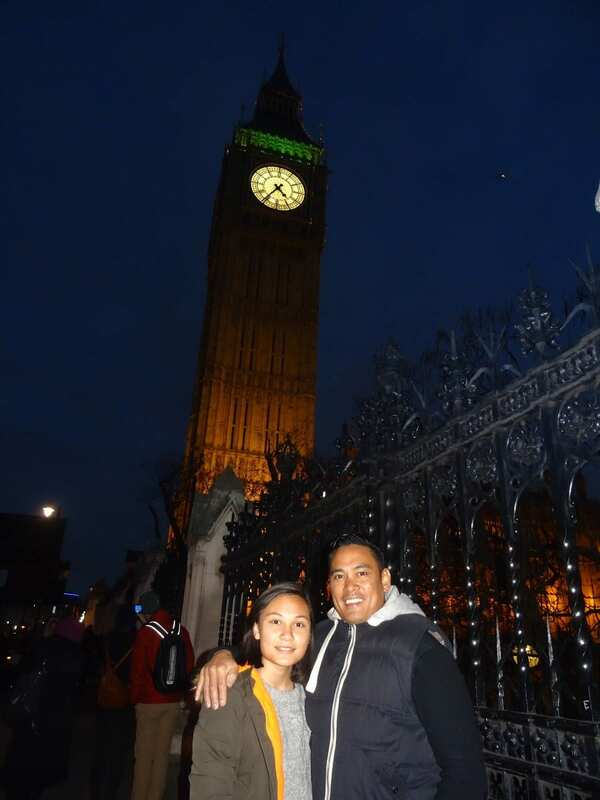 Shortly after, we made our way around the area, crossed a bridge which gave another panoramic look of River Thames, the Parliament, Big Ben, and the London Eye – so just like that, we checked off 4 tourist spots in London. 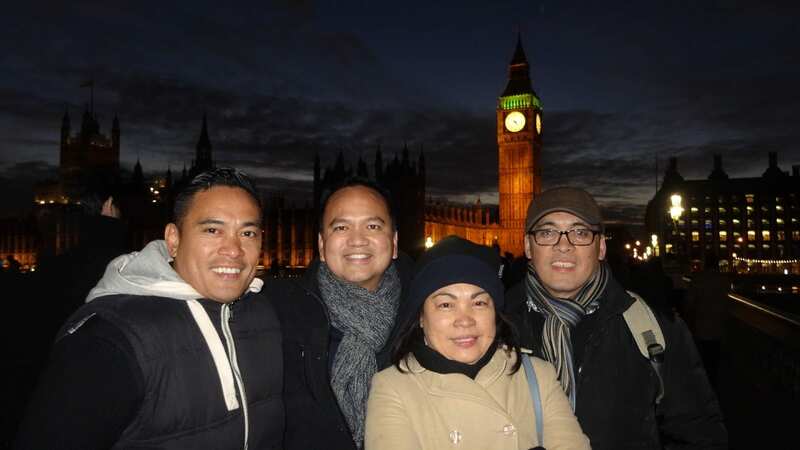 Once we got back in the car, Kuya Ferdie went the extra mile and drove us towards London’s Tower Bridge. He wanted us to see it at night and we drove over the bridge to get a glimpse of it in the evening. We also passed by Trafalgar Square, and other notable government buildings in the area. As with anything, all good things have to come to an end. We made it back to The May Fair Hotel by 7:30pm. They have another 3-4 hour drive back to Manchester, and Nancy and I were ever so grateful they made the trek to London and spent the day with us. 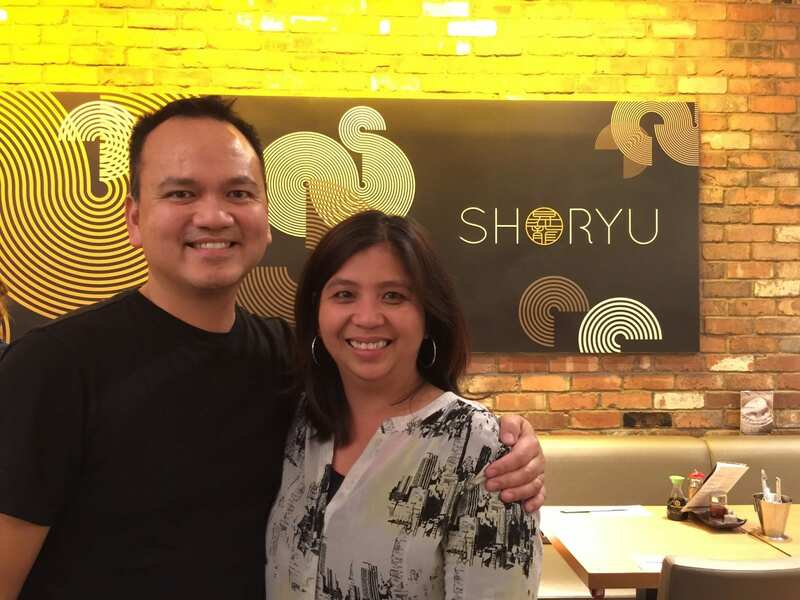 Thank you, Ate Vicky, Kuya Amado, Kuya Ferdie, and Tish, and yes, to Ate Anna as well, for making our stay even memorable with your visit. The invitation is open, and will remain open, you have a place to stay whenever you get the chance to visit California. By the time we got to the hotel, Sheena had already made it back from her apartment in Sutton. She couldn’t join us today due to a choir rehearsal. Once we got to our room, we FaceTime’d with the family and told them about our day. By 8:30pm, we asked Sheena where we should eat, and she suggested ramen. She didn’t have to convince me. 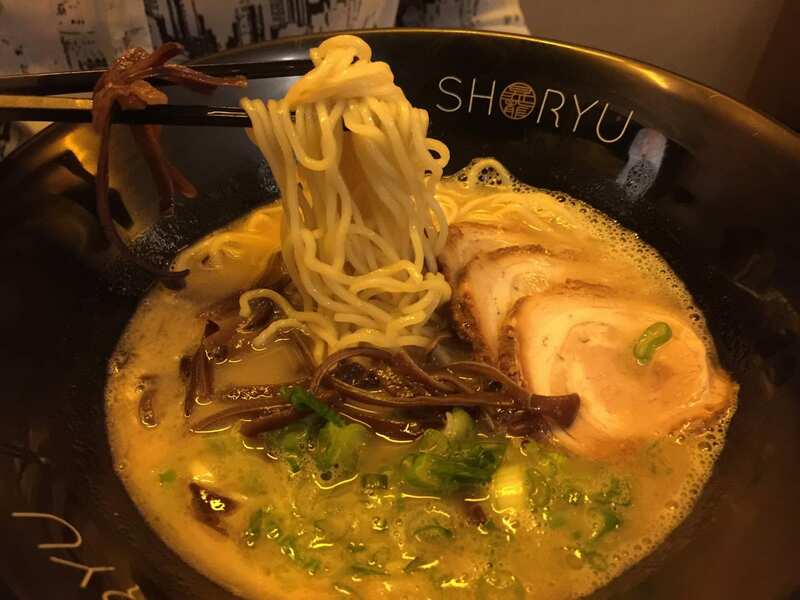 We took the Tube to Piccadilly Circus and had ramen at Shoryu. It was a perfect way to end our fun-filled day, each of us had a bowl of hot ramen. 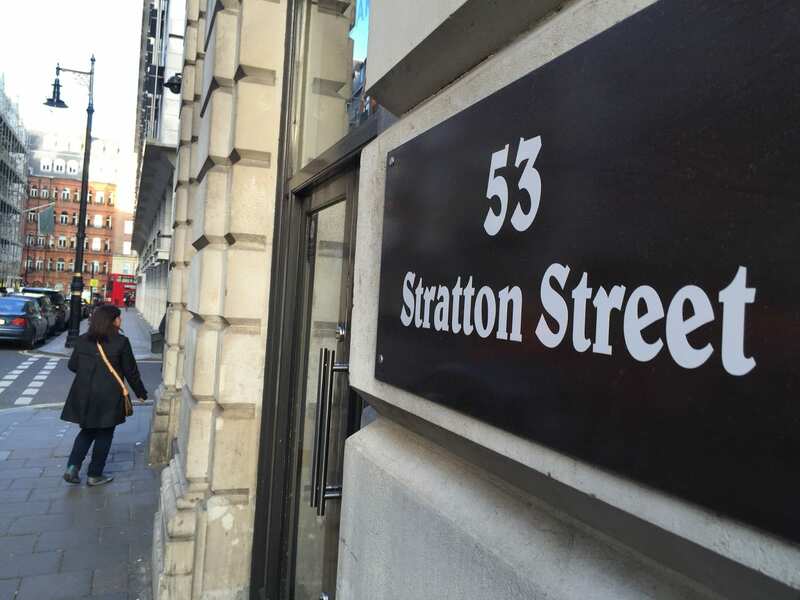 So in London, we’ve eaten…. Hmmmm….we better get some Fish n Chips before we leave! Thanks for following our journey….that’s Day 3.